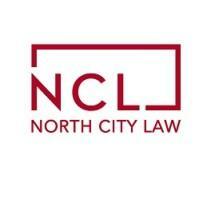 North City Law helps our clients grow, protect, and pass ideas, property, and wealth. North City Law is committed to helping our clients comply with the law, protect assets, and plan for the future. We are a law firm that provides transparent value to you, your dynamic business, and your future. We follow a transparent fee schedule where you can clearly see our value proposition at work. We also take a holistic approach, considering our clients as persons trying to do the right thing for business and family. We are committed to using technology to keep our prices low and make it easy to stay in touch with us.